Love truly is what leads us to make the most incomprehensible, irrational decisions in our lives, But they are all from the heart. When a person is greedy and desiring power they make the same irrational decisions, but there is no good in their hearts. It is for the wrong reasons and therefore leads to conflict. 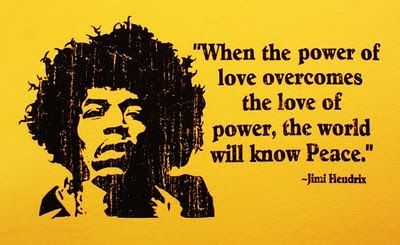 Love leads and power follows. Peace is tangible for those who believe these solid truths.